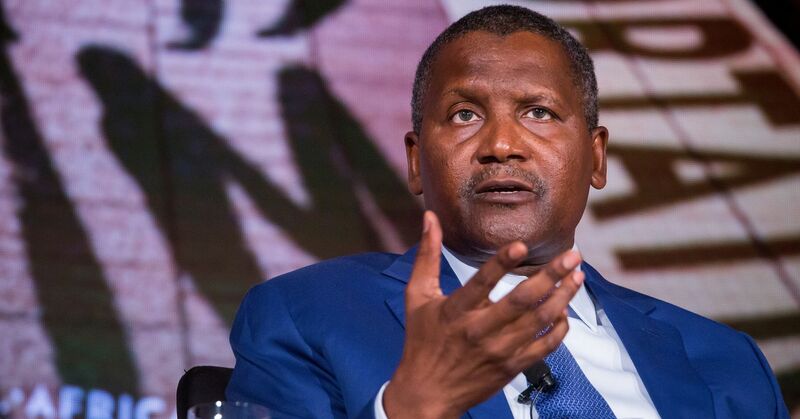 The President, Dangote Group, Alhaji Aliko Dangote, has been awarded the Foreign Investment Network (FIN) Oil and Gas African ICON of the year award. Also awarded was the Managing Director of Lagos Deep Offshore Logistic Base, LADOL, Dr. Amy Jadesimi, who bagged the Oil and Gas Leading Women Award at the FIN and Federal Ministry of Petroleum Resources Honorary Patrons Dinner and Awards Night which was held at the just concluded 2nd edition of Nigeria International Petroleum Summit 2019, in Abuja last week. The award is an acknowledgement of Jadesimi’s contribution to oil and gas servicing industry and maritime sector’s development in Africa, including leading LADOL – as it ensured that the first successful partial fabrication and integration of the world’s largest FPSO successfully took place in Nigeria, thus making the country the hub for fabrication and integration in Africa. She was also recognised as the Managing Director and CEO of the first Sustainable Industrial Special Economic Zone Africa, and a member of the Price’s Trust International Global Advisory Board; a Founding Commissioner of the Business and Sustainable Development Commiss0ion; and Vice-Chairman of the Board of Directors of the Global Maritime Forum. The Petroleum Industry Award is an arm of the Foreign Investment Network whose main function is to recognise the outstanding achievements made within the Upstream, Midstream and Downstream sectors of the Oil & Gas Industry; rewarding success and commitment to health & safety, environmental stewardship, excellence and corporate social responsibility.